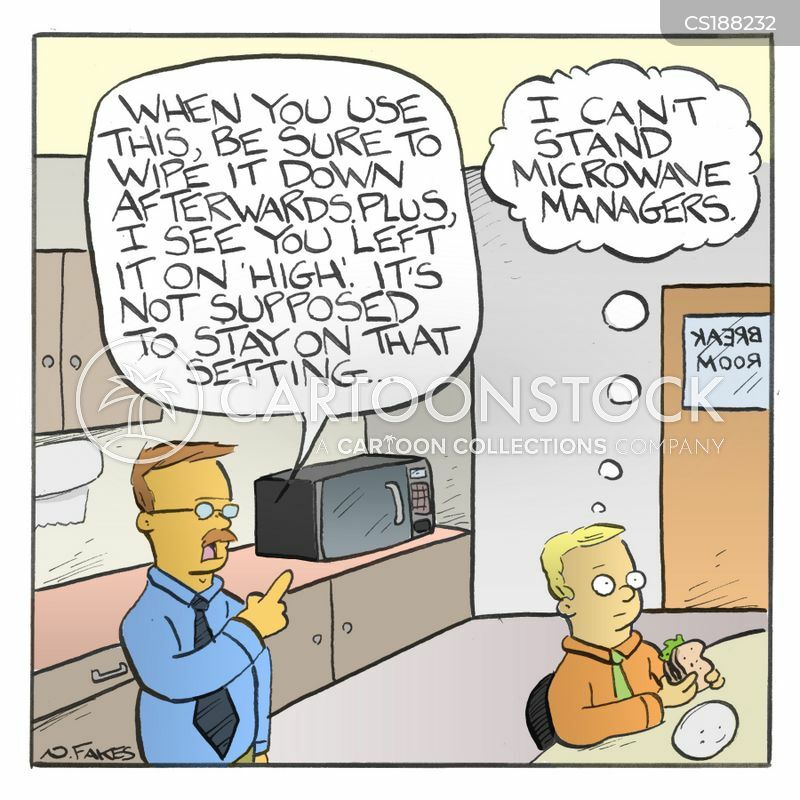 "I can't stand microwave managers." 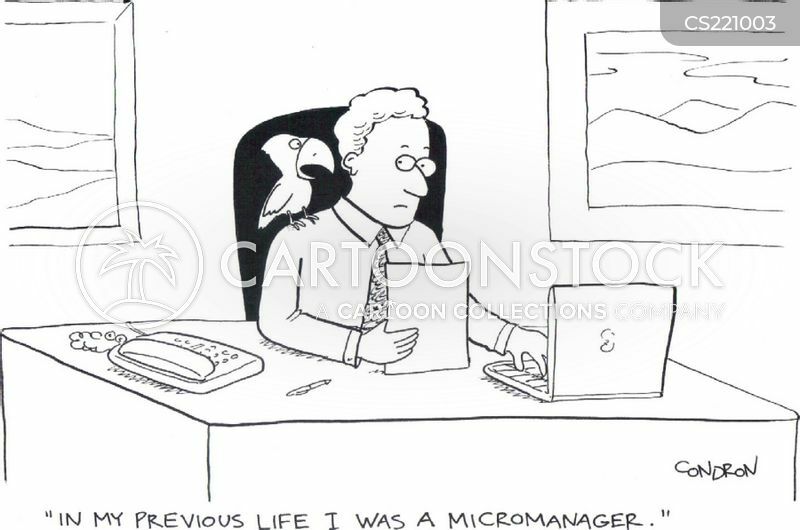 "At least they're not micromanaging you anymore." 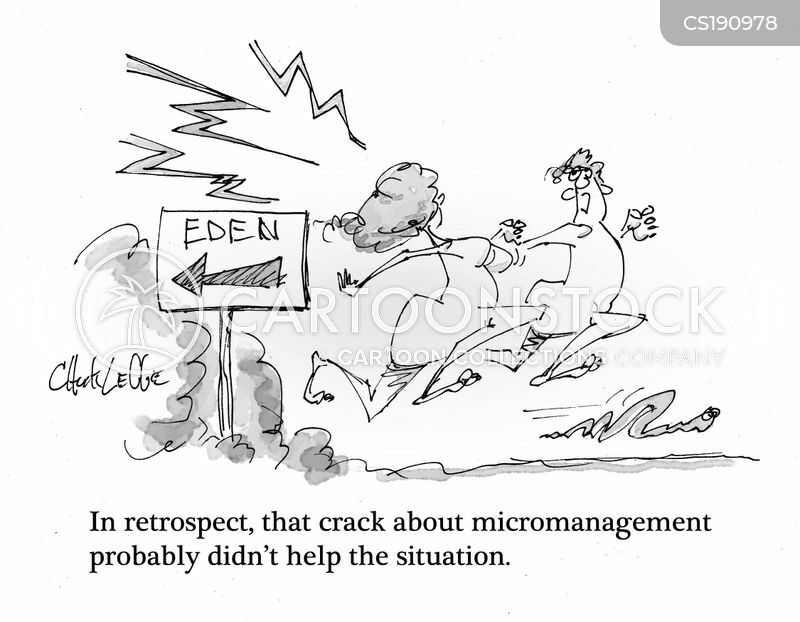 "In retrospect, that crack about micromanagement probably didn't help the situation." 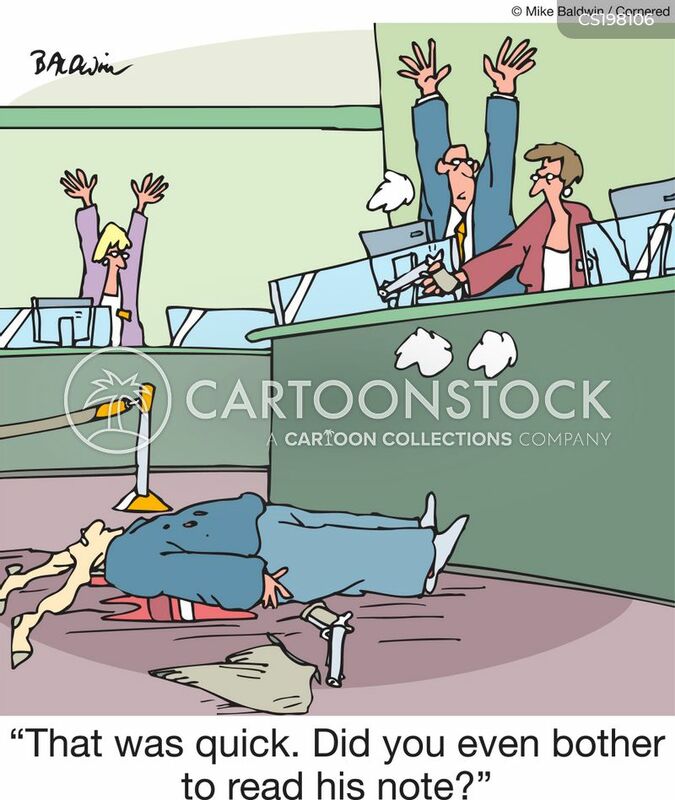 "That was quick. 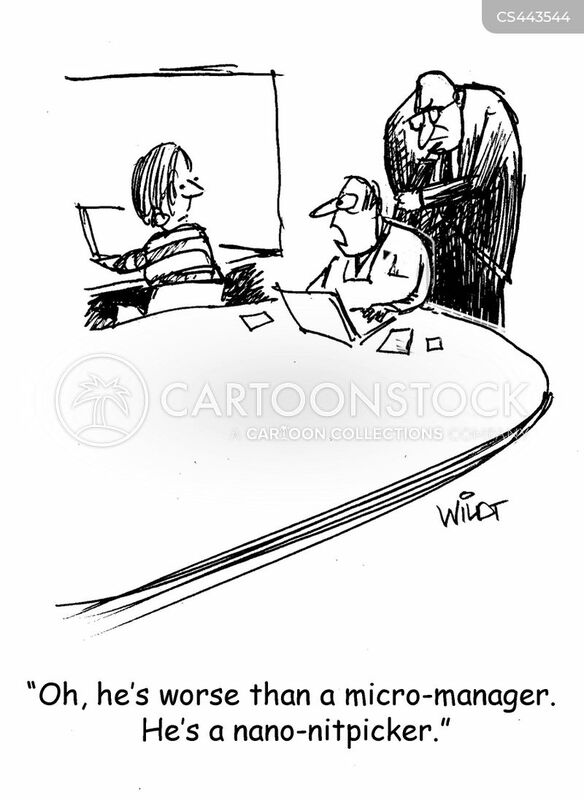 Did you even bother to read his note?" 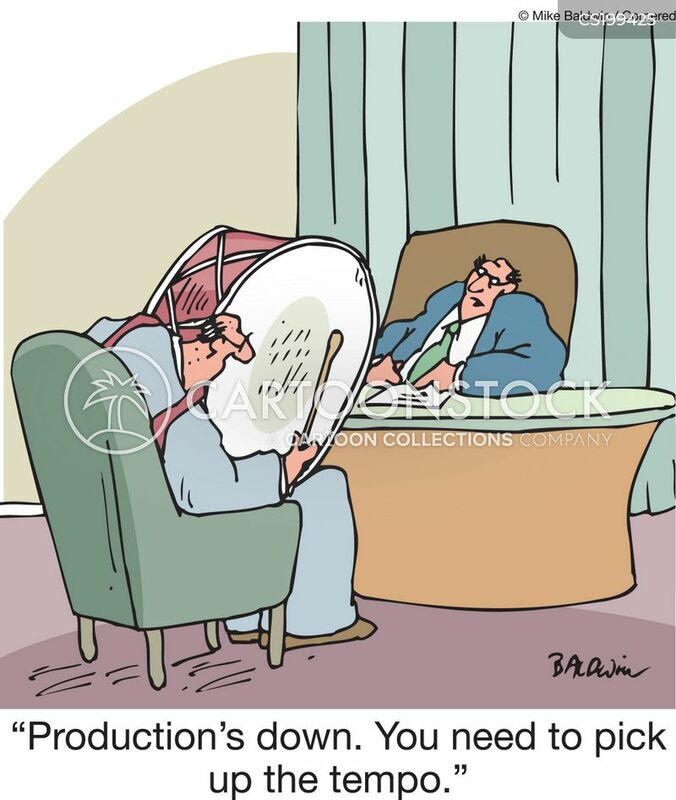 "Production's down. 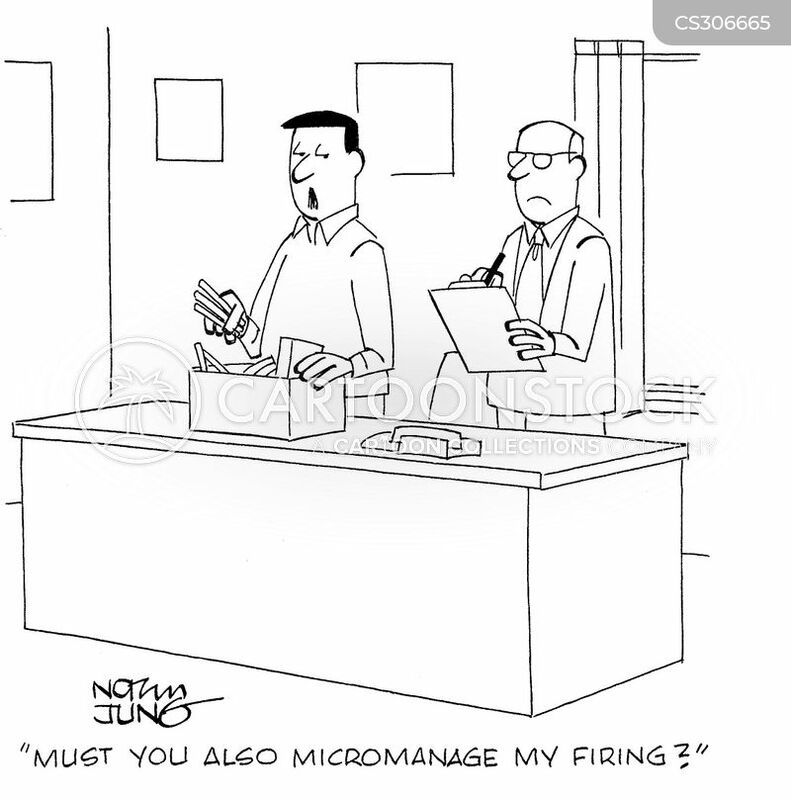 You need to pick up the tempo." 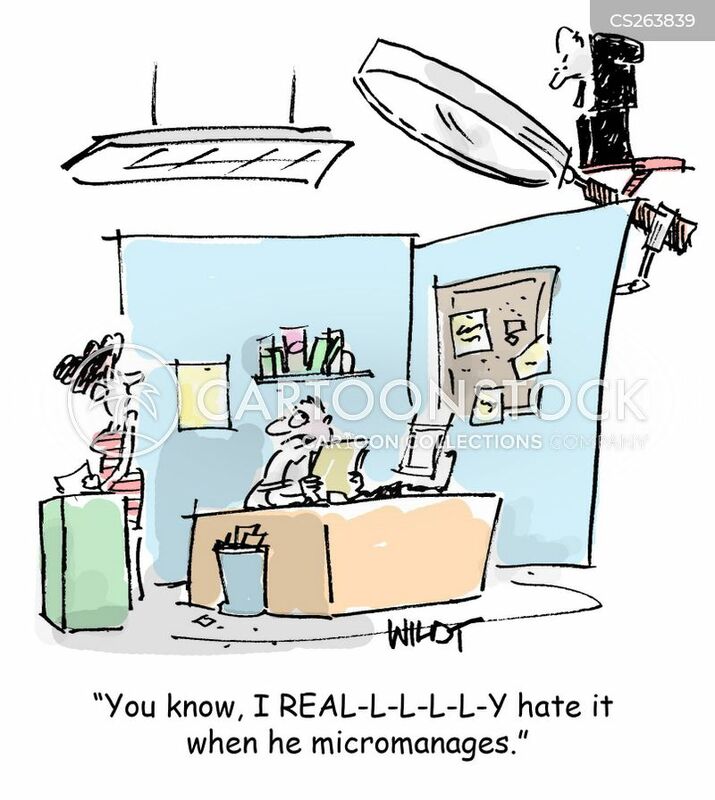 "You know, I reaallllly hate it when he micromanages." 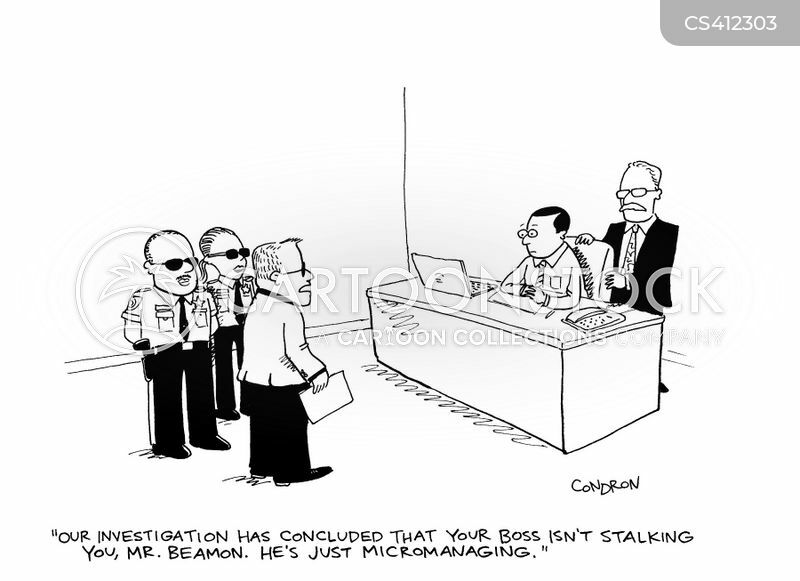 "Our investigation has concluded that your boss isn't stalking you, Mr. Beamon. 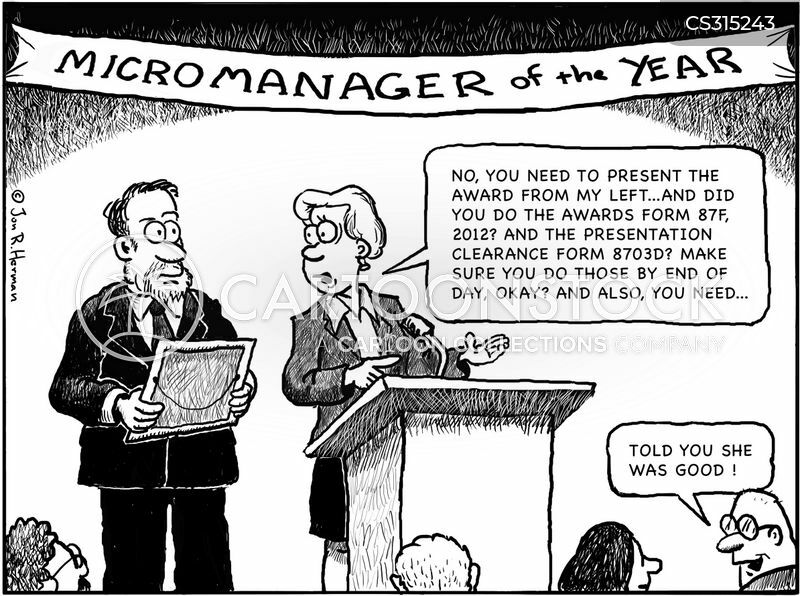 He's just micromanaging." 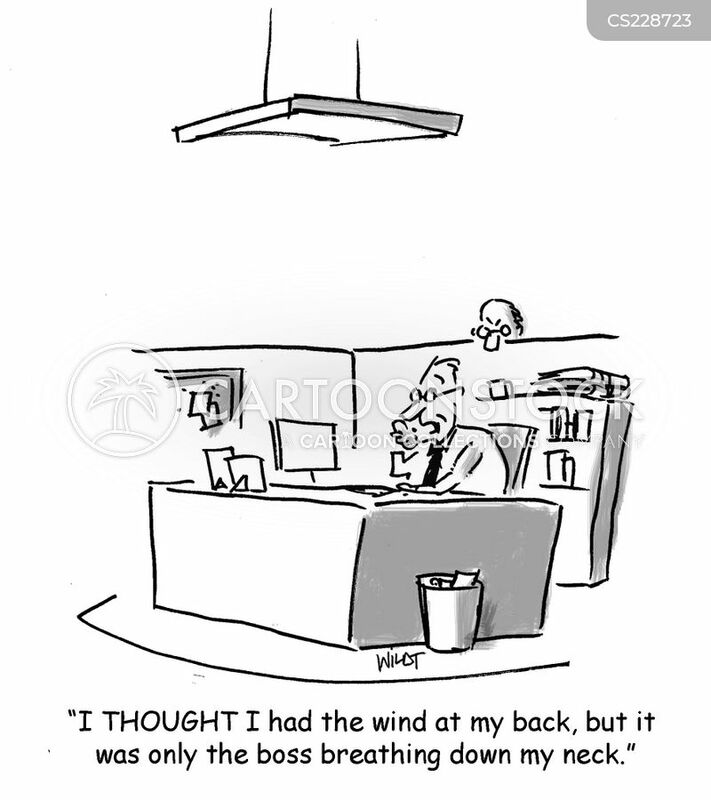 "I hate it when the boss hovers." 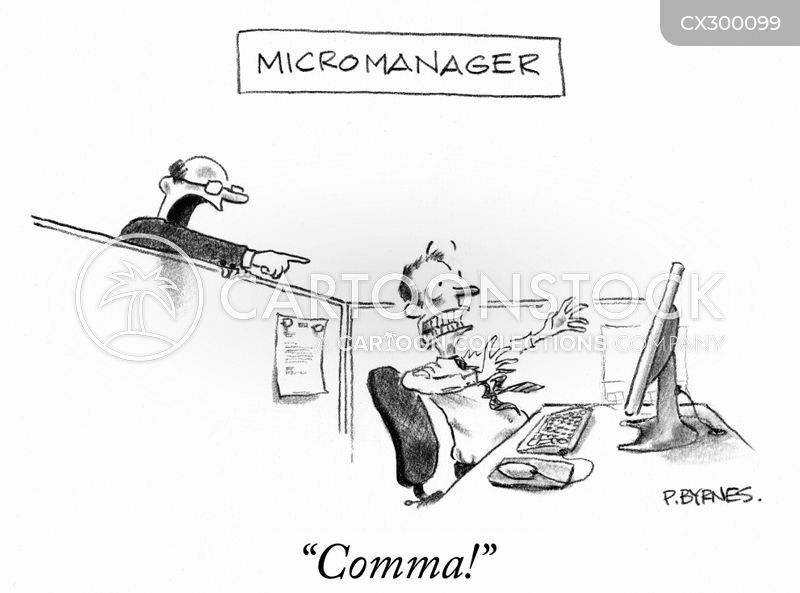 "Oh, he's worst than a micro-manager. 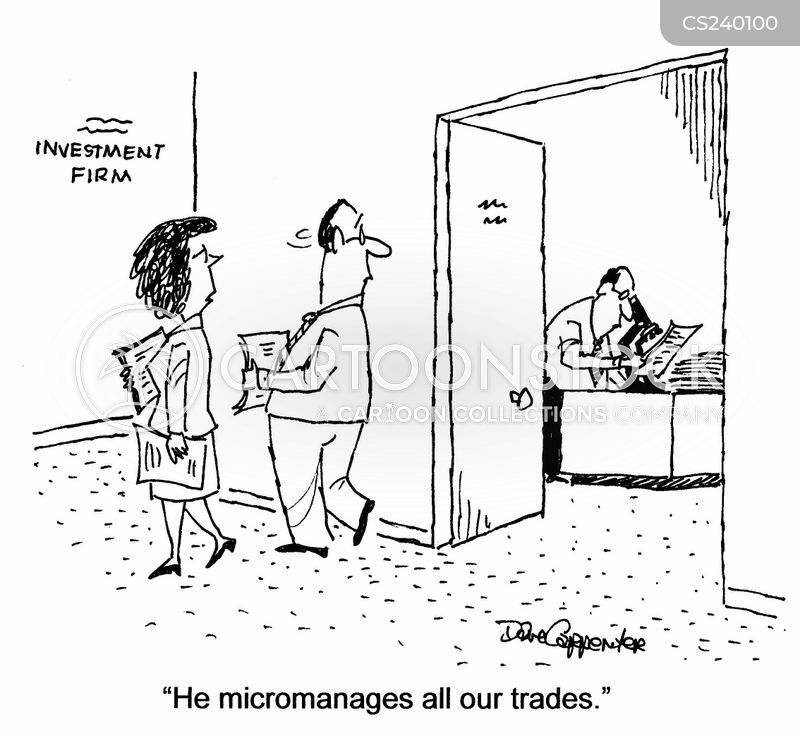 He's a nano-nitpicker." 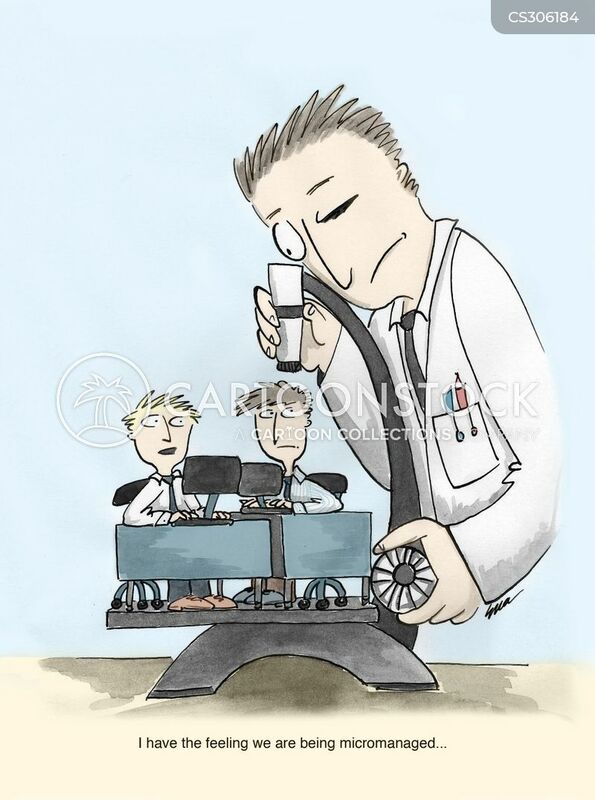 "Dad, did you know Tia Carmen got a job at my school cafeteria?" 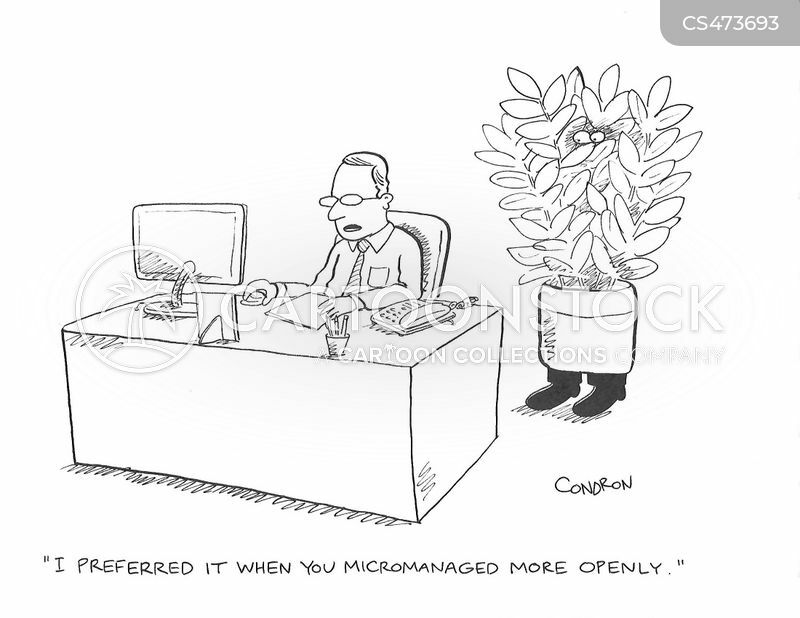 "I preferred it when you micromanaged more openly." 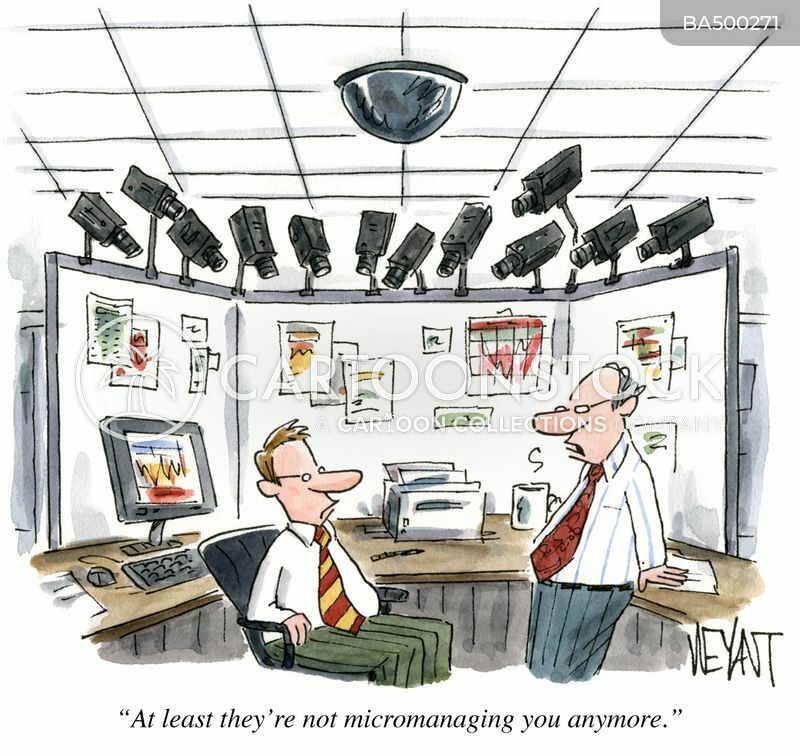 micromanager, micromanage, micromanagement, micromanaging, micromanagers, micro-manager, micro-managers, micro-management, management style, management styles, supervisors, bosses, office politics, supervisor, manager, boss, hiding, plant, disguise, office, desk, spy, spying, espionage, work ethic, workload, performance review, performance reviews. 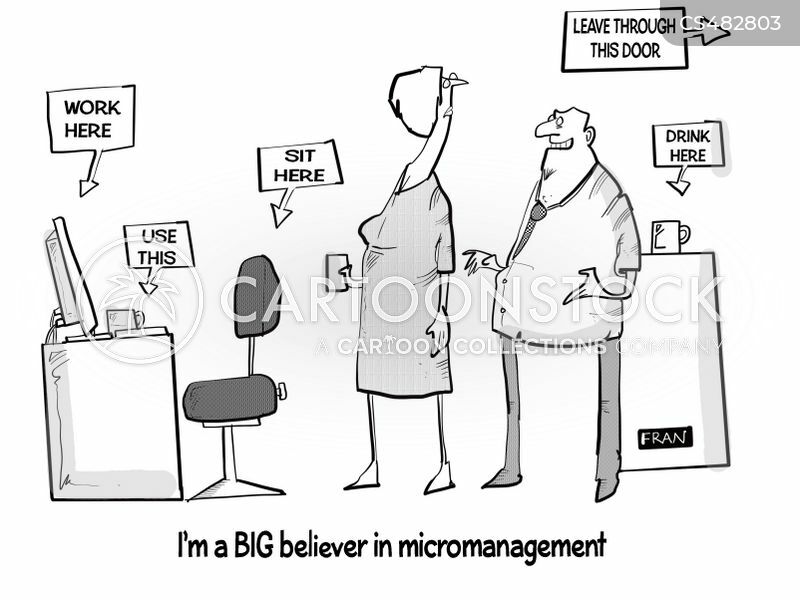 "I'm a big believer in micromanagement." 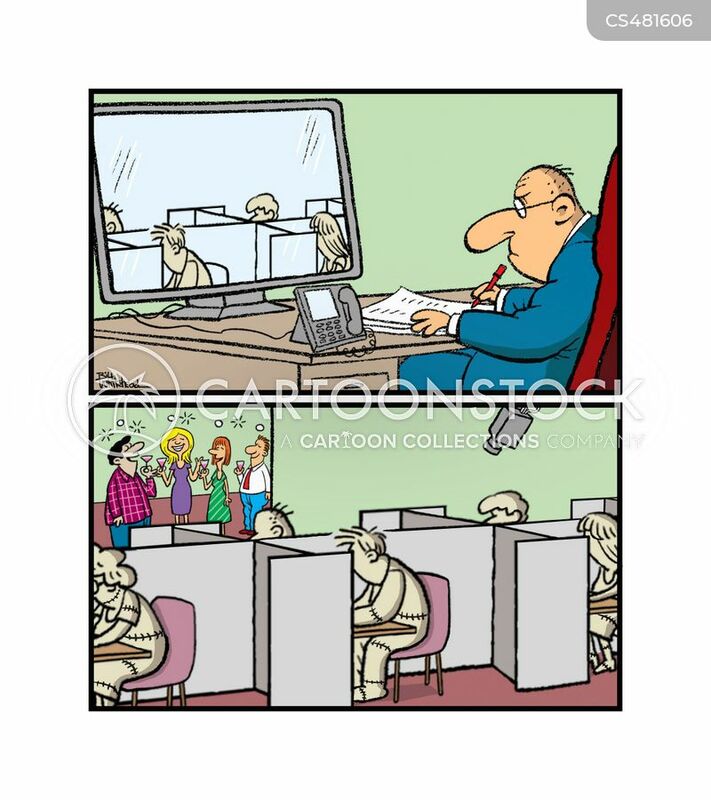 Boss watches TV monitor of his employees. 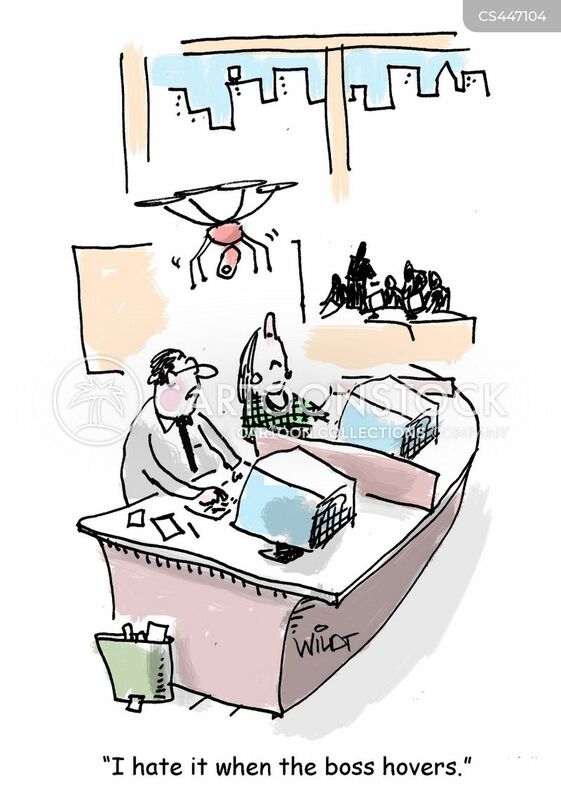 "The new Boss starts today. 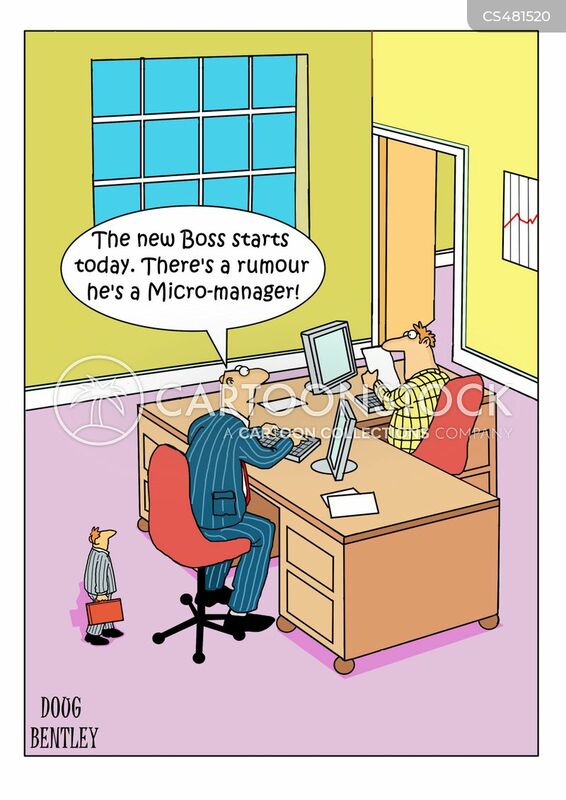 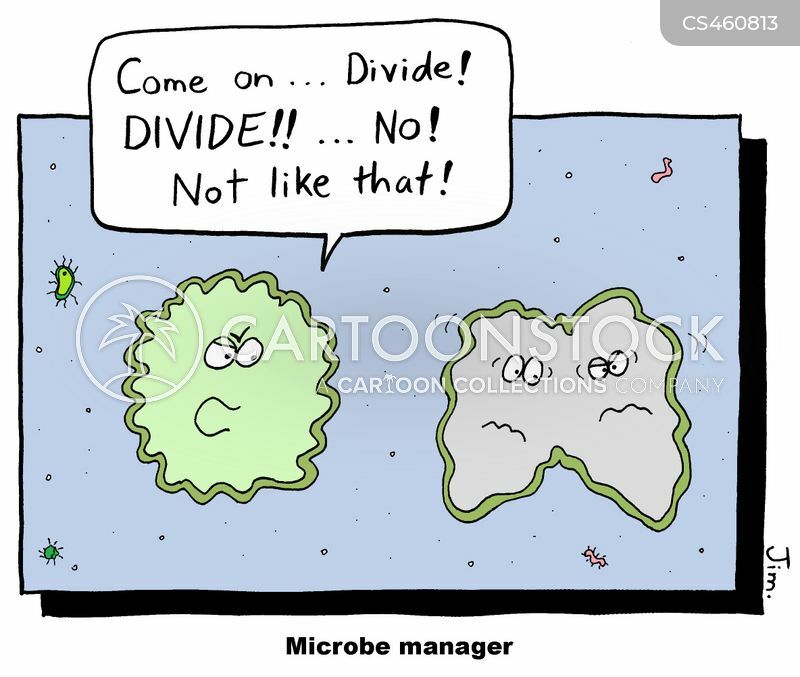 There's a rumour he's a Micro-manager!"